The Illinois State Museum Casting Lab has made life-sized replicas of an Ice Age Mastodon(which may be traveling to our Fest), a Giant Ground Sloth skeleton, and has replicated bones of all kinds of other prehistoric animals. Museums often replicate specimens so that they can be displayed, studied, and shared with without damage to the originals. 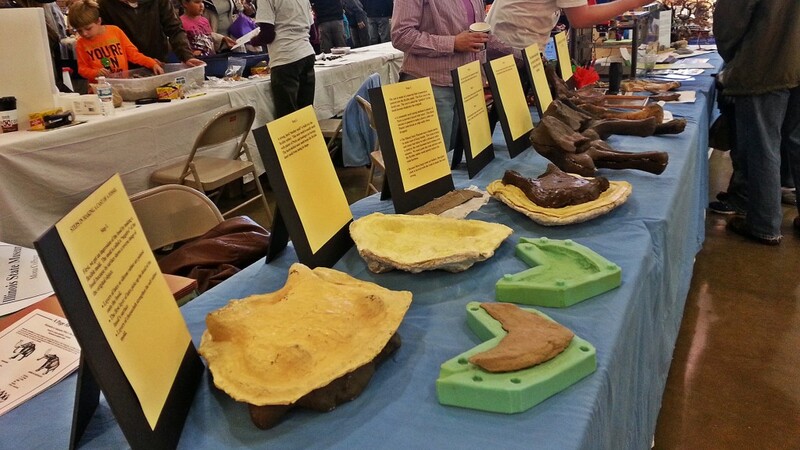 At this year’s Heartland Maker Fest they will be showing us the steps used to make rubber molds of Museum specimens and how they create hollow resin & fiberglass casts from them. Recently the Illinois State Museum has been using 3D scanning and printing technology to scan and replicate smaller specimens, a process that affords minimal handling of the original fossils. 3D printing does not replace the traditional casting methods of reproduction, but adds another way to duplicate some types of specimens. And we’re excited about the hands on activity they’ve planned! 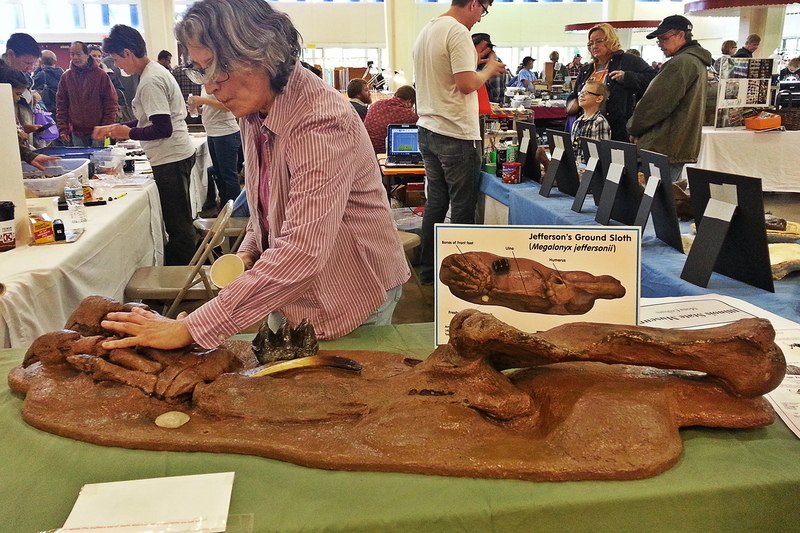 Where people of all ages can create a fossil rubbing and use it in designing their own pin-backed button.